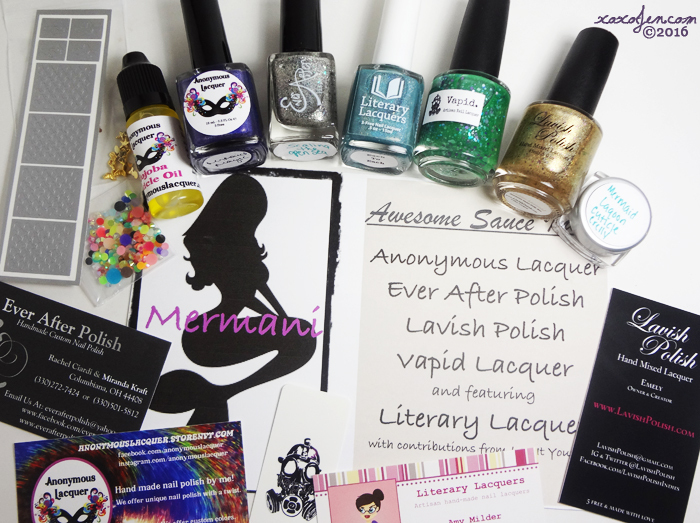 The Awesome Sauce Indie box this month features guest Literary Lacquers. 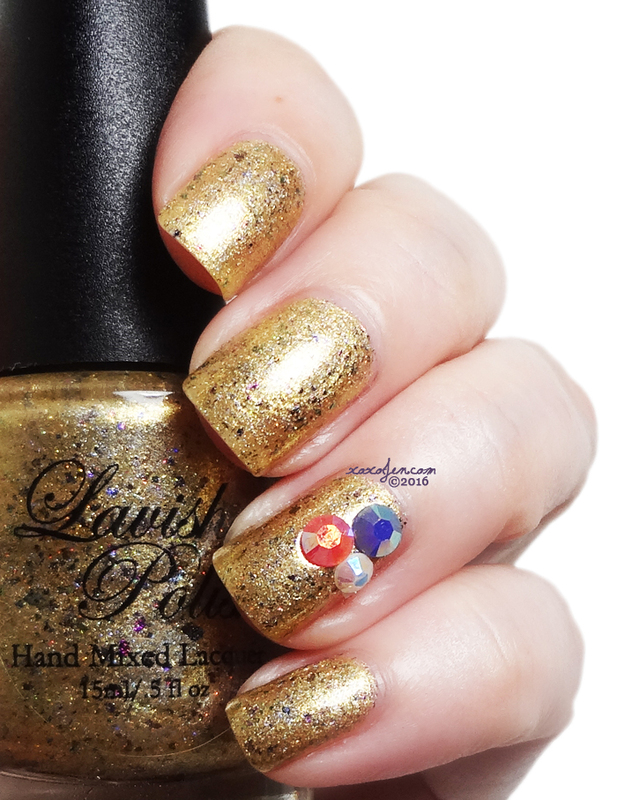 It contains a total of five polishes, nail vinyls from Lou It Yourself, cuticle Crelli sample from Ever After polish, cuticle oil and jelly stones from Anonymous Lacquer, and nail charms from Lavish Polish. The box is available with full sized or mini sized items! What a box! Especially nice for team mermaid, eh? Pre-order runs from Jan 29th 8pm Central - Feb 5th 10pm Central at the Awesome Sauce Shop. 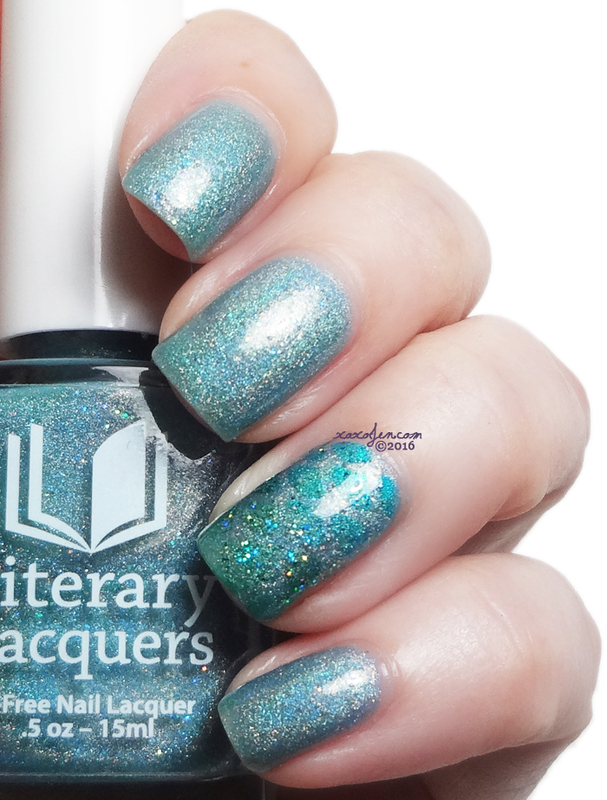 Literary Lacquers Each to Each - Sparkling aqua linear holo with the slightest touch of murk from the unknown depths, inspired by The Love Song of J. Alfred Prufrock by T.S. Eliot. 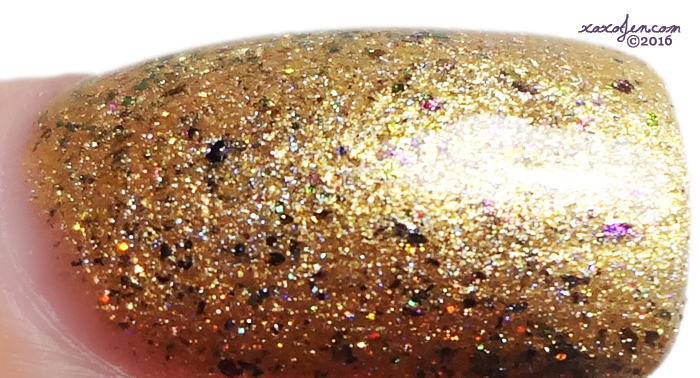 Lavish Polish Golden Mermaid - A beautiful golden holo with a mix of different multichrome flakies and micro gold holo glitter. Two coats of this sparkly polish applied itself, no clean up. Ever After Scaling the Open Seas - Silver metallic shimner with green, purple and gold ultra chrome flakes with strong scattered holo. Super reflective and shiny, I wore two coats and the formula was great! 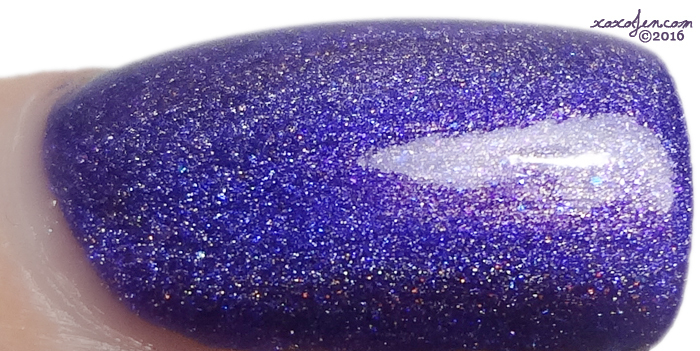 Anonymous Lacquer Mermaid Magic - A majestic purple holo with micro flakes. I wore two coats, although I think one may have been sufficient. The polish is quite opaque and has a creamy formula. 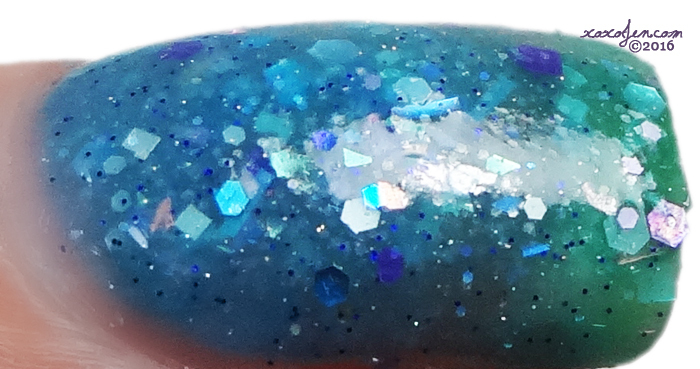 Vapid Lacquer No Clam Shell Needed - A green to blue oceanic thermal shimmering with iridescent rainbow flakies. Glitter in all the colors of a mermaids scales, blues and purples clear holographic and all glitters in mattes Mettalics and holos. 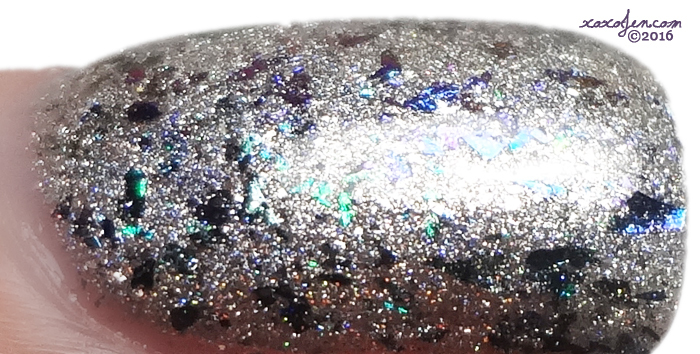 A cool thermal glitter that I think is on point for a mermaid style polish. I wore three coats with slight VNL, no top coat. I enjoyed the polishes, all the fun nail art goodies as well as the moisturizing oil and cream - they saved my skin while swatching and both smell delicious! Which polish is your favorite? What kind of nail art would you create with this? I hope you've enjoyed my review, please remember follow me on facebook too! Oh Em Geee!!!! So beautiful!!! Yes. This box is pretty amazing and I sincerely couldn't pick a favorite. I do want to know what is s cuticle crelly?! It's a cuticle cream that contains petroleum jelly - crelly! Some very great colors in this box. I love that thermal by Vapid! Oooo No Clam Shell Needed is gorgeous!! DAMN! This is a great box! Love everything you did with them. Right? Thank you for the compliment!